Composite of calibrated raw images acquired by Cassini on Oct. 11, 2005. 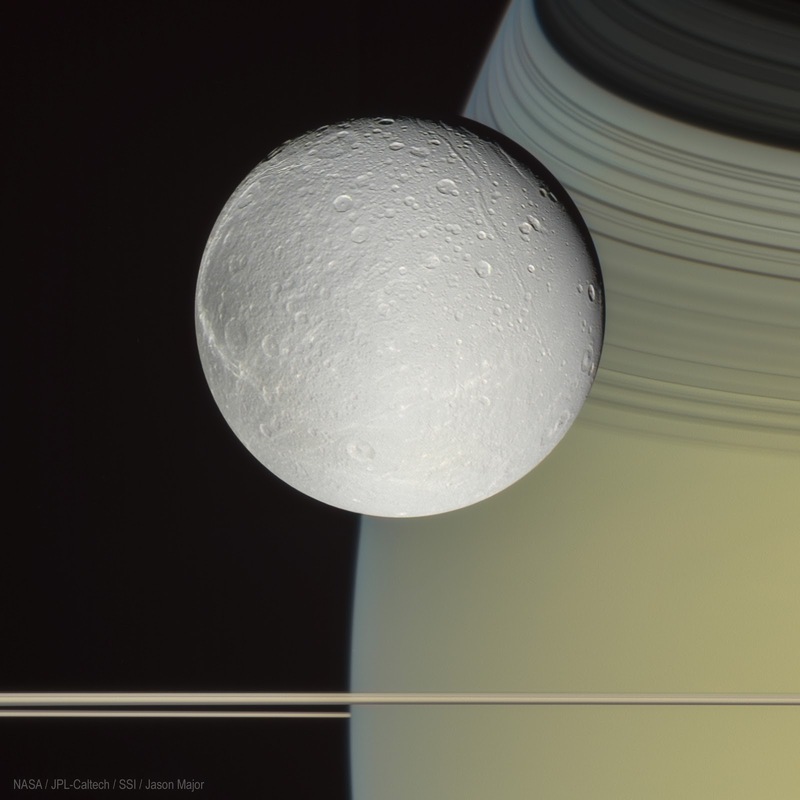 Saturn's moon, Dione, is 1123 km (698 miles) across and orbits Saturn at about the same distance that our Moon orbits Earth. The Cassini-Huygens mission was a cooperative project of NASA, the European Space Agency and the Italian Space Agency. The Jet Propulsion Laboratory, a division of the California Institute of Technology in Pasadena, California, managed the mission for NASA's Science Mission Directorate, Washington, D.C. The Cassini orbiter and its two onboard cameras were designed, developed and assembled at JPL. The imaging operations center was based at the Space Science Institute in Boulder, Colorado.